Whos keen for a dawn dive tomorrow? Sam Rose, the divemaster aboard 85-foot charter vessel Great Escape, beams at his seven certified divers. I stop eating and look up. Im in, I declare, sold on the image of a Disney-like underwater wake-up call. Custom built in 2006, with seven en suite staterooms, a helipad and comfortable communal spaces showcasing local artwork and photography, the Broome-based power catamaran Great Escape runs diving and snorkeling charters to the Rowley Shoals in addition to more frequent sightseeing and fishing charters along Western Australias Kimberley Coast. 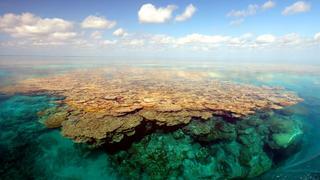 A chain of three pear-shaped coral atolls, the Rowley Shoals lies about 170 nautical miles west-northwest of Broome on the edge of a wide continental shelf. 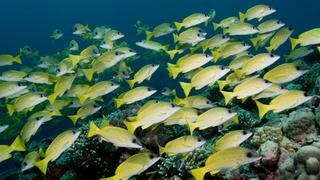 Each atoll has shallow lagoons and covers about 30 to 35 square miles. The most northerly, Mermaid Reef, is one of 13 reserves in the recently established North-west Commonwealth Marine Reserves Network. It rises with near-vertical sides from depths of approximately 1,450 feet. The other two atolls, Clerke and Imperieuse Reefs, form a state-managed marine park and ascend from 1,280 and 750 feet, respectively. After a rough overnight journey from Broome, we arrive at Clerke Reefs sheltered tropical waters. Here, we see a pod of playful spinner dolphins, flying fish that soar up to 30 feet and ravenous parrotfish that reveal purple and blue hues as they splash about feasting on partially exposed coral at low tide. Meanwhile, Great Escapes three tenders shuttle her 12 guests to nearby dive and snorkel sites, where we scout for giant potato cod, manta rays and turtles. We have the place to ourselves, and the inhabitants of these atollswhich include some 233 species of coral and 688 species of fishappear free to feed, frolic and grow with minimal human impact. With so many activities on offer, Chef Mitch Alomes serves up spreads including soft poached eggs, tangy hollandaise sauce, crisp bacon, perfectly sectioned mangoes and applepear muffins for breakfast ensuring we keep our energy levels up. After breakfast, we head out for our pre-dawn dive. After about 10 minutes, I turn my flashlight away from a resting pufferfish and notice a large school of trevally. 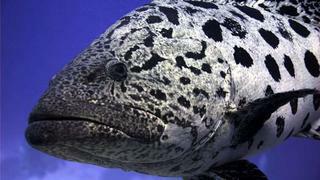 Suddenly, a current sweeps me past the trevally, 15 feet away from the wall, and attempts to pull me farther into the deep. This is one of the dangers of diving this area  it can have very strong currents. I would say Rowley Shoals is probably best suited for more seasoned divers, preferably with advanced qualifications. Snorkellers and beginners are well catered for as well though, however, its a long way to travel if youre not prepared to embrace the offerings fully. But if youre up for the challenge, the Rowley Shoals promises one of Australias most exciting, beautiful and remote diving adventures.